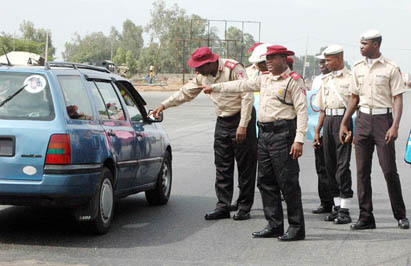 A total of 128 persons died, while 2, 254 others were injured in 673 road crashes across the country in September, according to the Federal Road Safety Corps (FRSC). FRSC disclosed this in its monthly Road Traffic Crash (RTC) Report signed by the Corps Marshal, Mr Boboye Oyeyemi, and made available to the News Agency of Nigeria on Sunday in Abuja. The September figures indicated a general reduction in all parameters with 31 per cent and 17 per cent reduction in crashes and fatality cases respectively as compared to those of August. The report said the Federal Capital Territory (FCT) had the highest number of crashes and fatality cases in September with recorded 81 crashes and 22 fatalities. “Kaduna, Niger, Ogun, Yobe and Oyo followed in order of magnitude,’’ the report stated. Analysis based on crash-prone routes revealed that Kaduna-Abuja road recorded the highest number of crashes in the month under review. “Lagos-Ibadan road followed with 48 cases and Abuja-Lokoja road recorded 37 cases,’’ the report said. It also revealed that speed violation accounted for 359 cases or 51 per cent of the total road accidents in the month under review. “Out of the total of 1,099 vehicles involved in road crashes in September, cars accounted for 366 representing 33 per cent. “Mini buses followed with 224 representing 20 per cent while motorcycle with 209 represented 11 per cent,’’ it stated. It said further that the number of crashes in September when compared with that of the corresponding month in 2017 showed two per cent reduction in fatality. The report also showed 11 per cent increase in crashes and 15 per cent increase in the number of persons injured. It however noted that road crash injuries could be prevented through a holistic involvement and synergy from multiple sectors such as transport and police, among others. The report urged the Federal Government to take steps to ensure that the National Assembly provided an effective legislation capable of ensuring safety on roads. “This is as our existing traffic laws do not reflect contemporary safety needs of the public,’’ the report said.